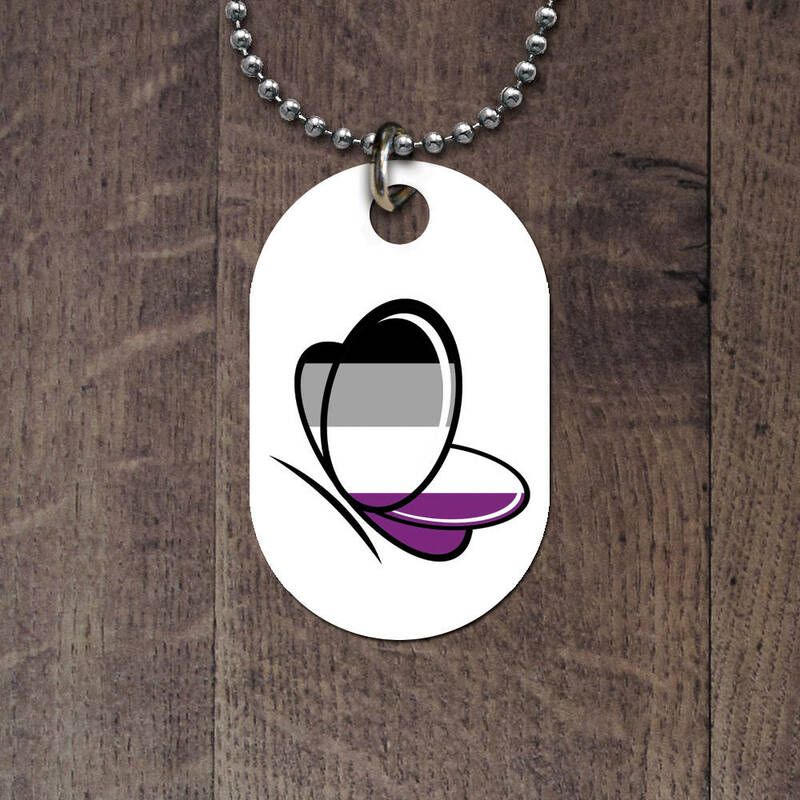 Asexual: Someone who does not experience sexual attraction towards other people, and who identifies as asexual. 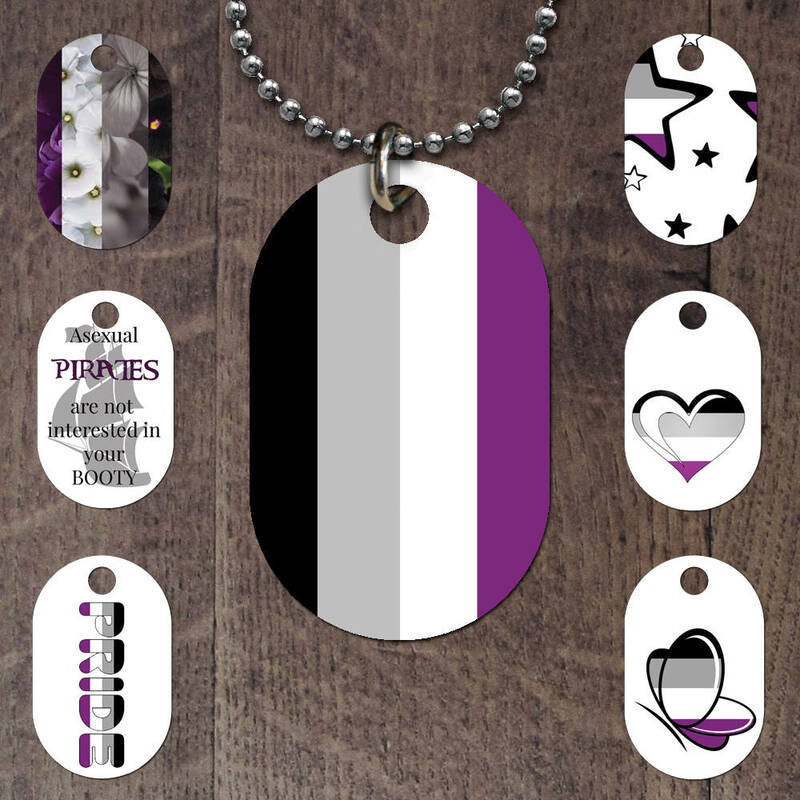 May still have romantic, emotional, affectional, or relational attractions to other people. 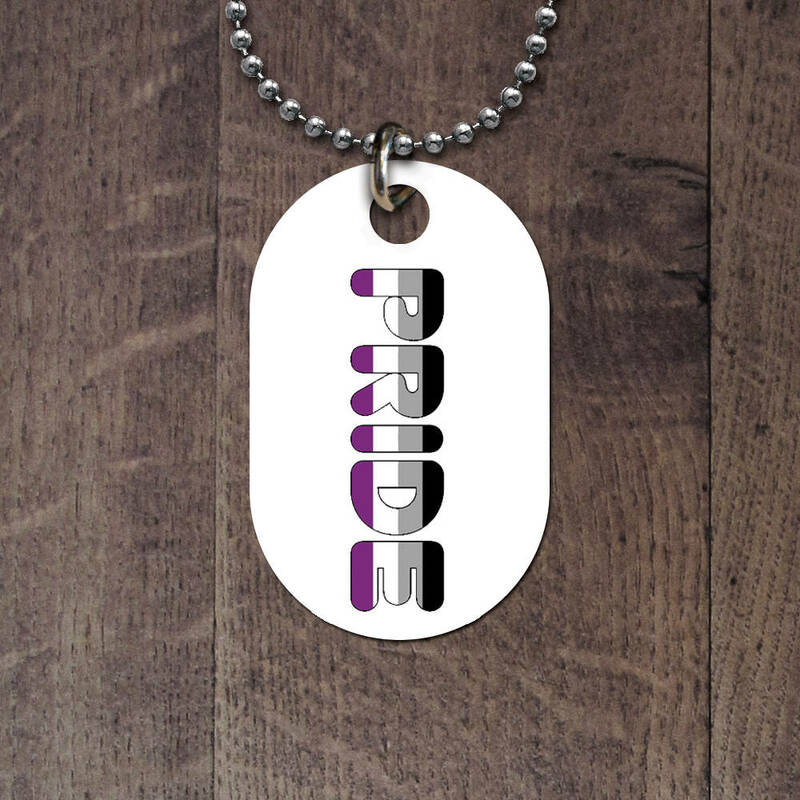 Dog Tags are a popular and fun way to say what is on your mind! 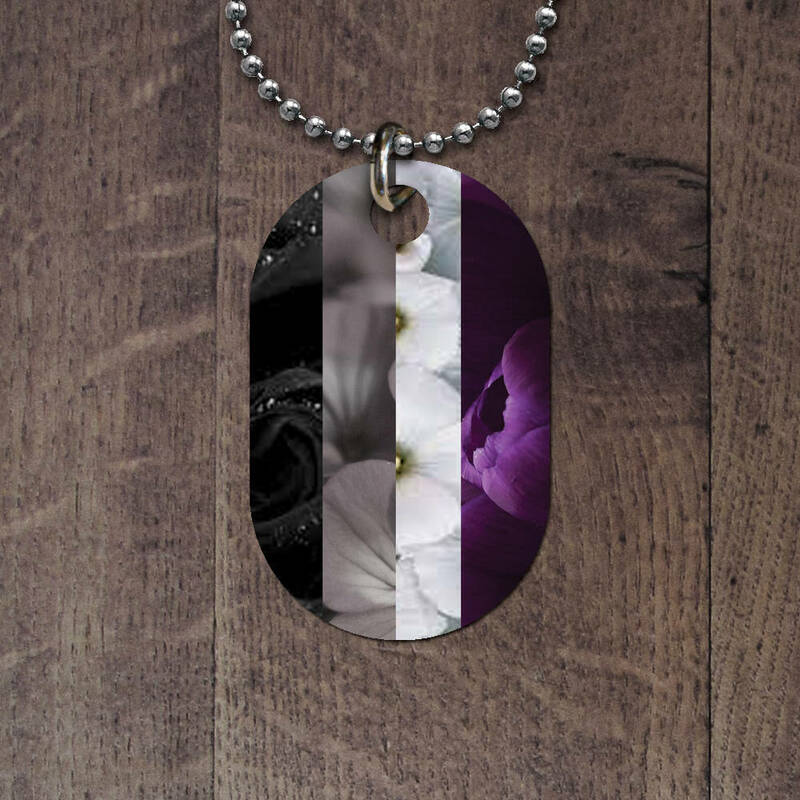 The brilliant colors and vast array of designs, you will be able to find one tag for almost any occasion! 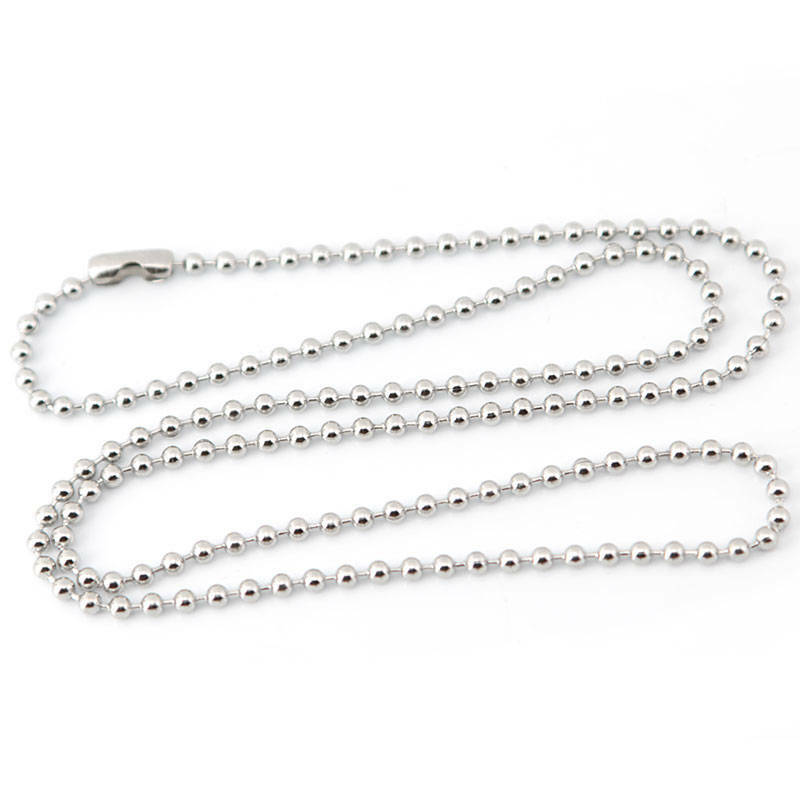 The tags come with an aluminum chain 30" long. The tags measure 1.125" X 2" and are .045 thick. Made from aluminum to resist rusting. 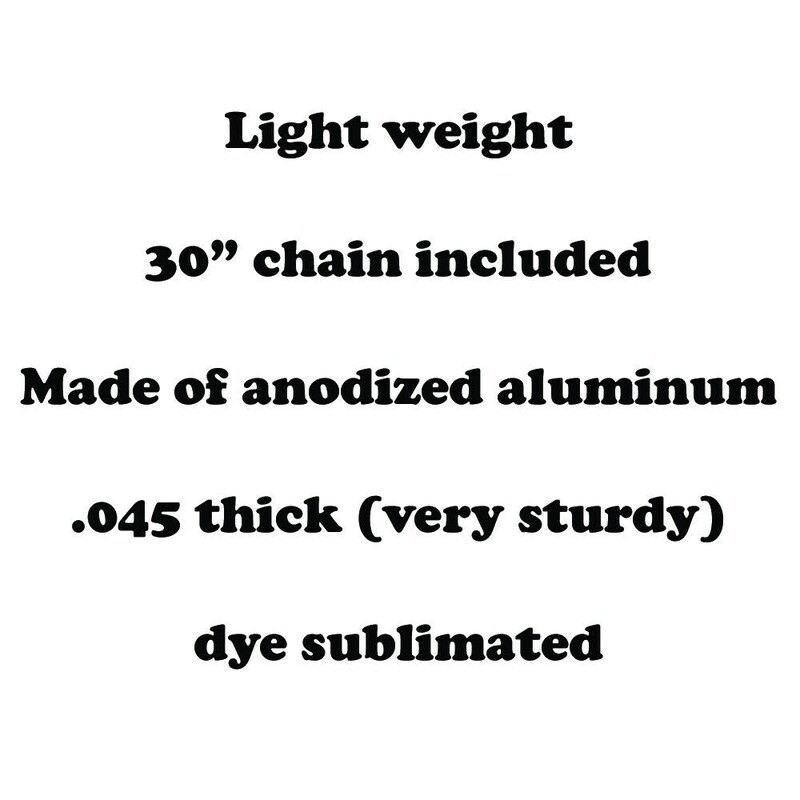 The tag is printed with the design on one side, the back side is plain aluminum. 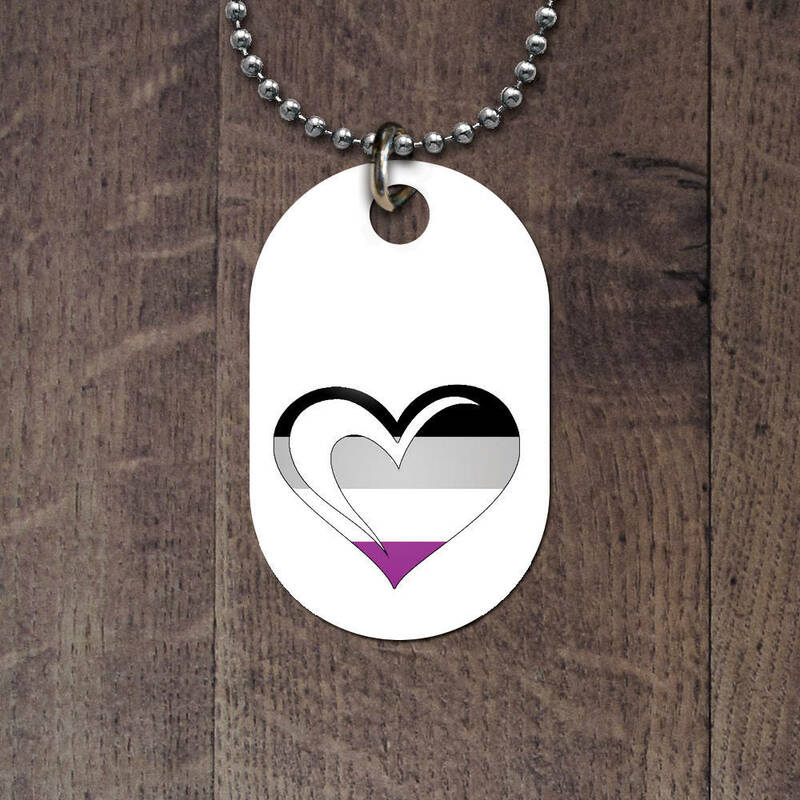 Light and comfortable to wear, and shows my Ace pride! Thanks! 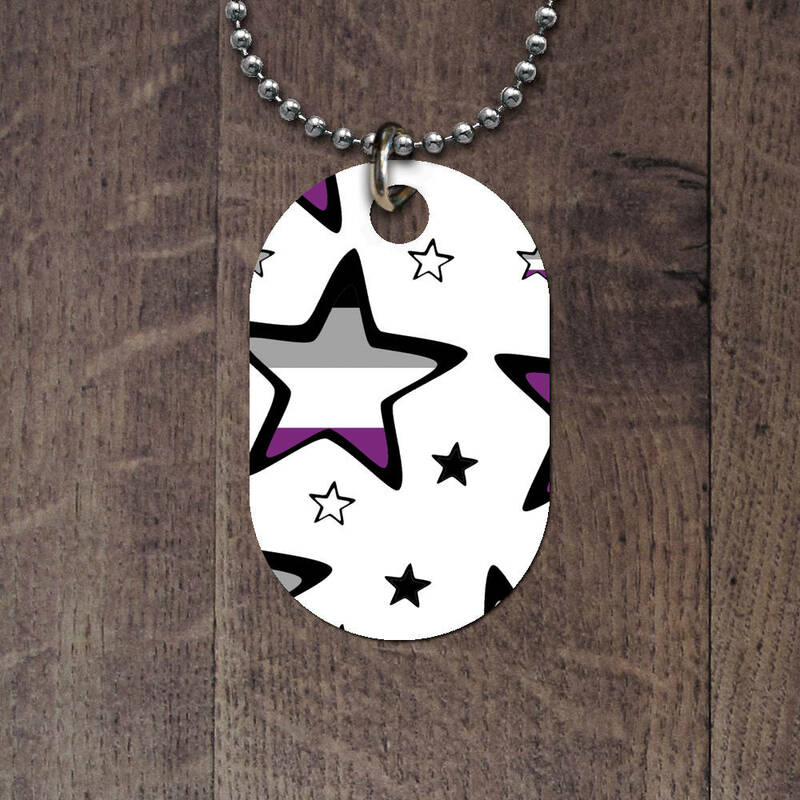 I love this dog tag and it's really well made!